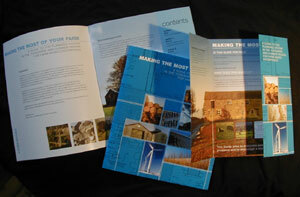 Working in partnership with the Planning Co-op, Xited produced a booklet and flier to promote diversification within the farming community of Yorkshire and the Humber region. The 60 page, full colour booklet helps farmers to understand planning law and its implications for their diversification plans. Framework for Change provided funding for a revision of the well-received Guide in Summer 2006.